can someone help me here , i the petitioner which address section should i put? Also the beneficiary which address section should i put? the address of filling or the embassy address? Use the petitioner's address for their letter and the beneficiary's address for their letter. im talking about the address of homeland security or the embassy address. If you're just preparing your petition then it's homeland. If you're at the interview stage then it's the embassy/consulate of the beneficiarys country. i'm lost in the interview section, when do i send it? cause we're at the stage to file in our paperwork. For now, put the letter of intent with your I-129 packet. 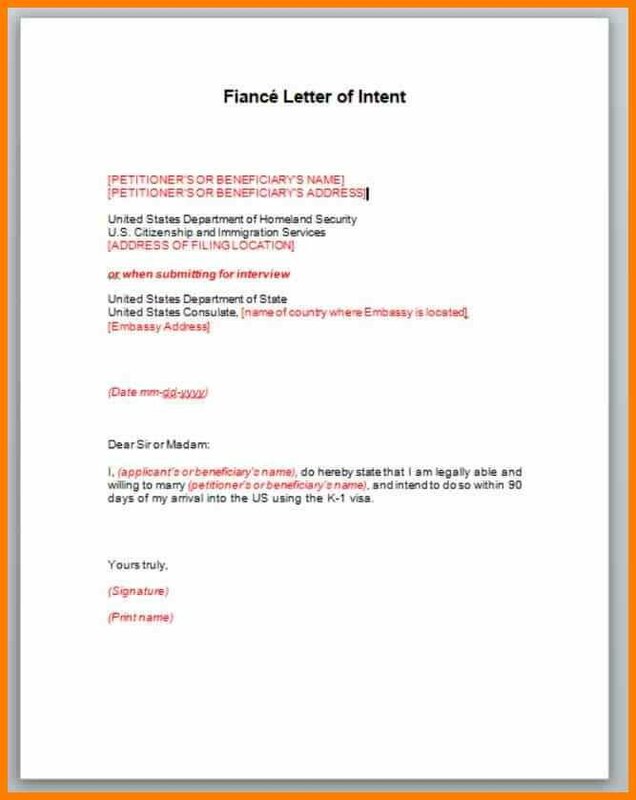 You might not need to do this, but it's always good to have an updated letter of intent ready prior to the interview in case the consular should ask you for it. You don't prepare it until after you have gotten your approval with USCIS. Don't mail it to the embassy. 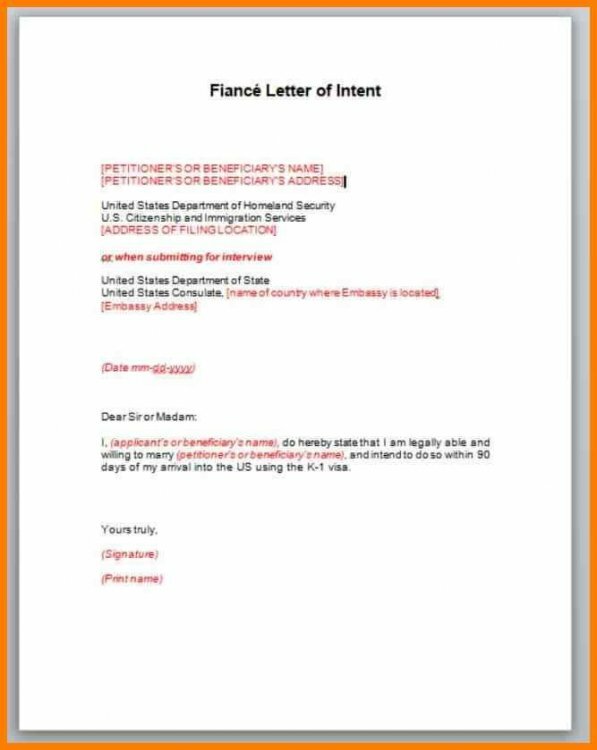 Your fiancé will take that to the interview, along with other documents as requested by the interviewing embassy. One small point, when the petitioner submits the I129 package, there should be a letter for each party in the package. 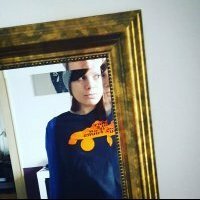 The one and only RFE we received in this process was at that stage where I did not include my fiancé's (now wife) letter of intent to marry. To the OP, to be honest, we submitted fairly informal letters of intent. After I received the RFE at the I129F stage, my fiancé wrote a brief letter, signed it and emailed it to me, I printed it out and answered the RFE. What they need are letters from each party stating their intentions and ability to meet the requirements of the K1. 2. Create a letter for your fiancé/beneficiary with their personal address. Address the letter to the Embassy. 3. Take both copies to the interview. 4. Many of our answers are predicated on the information you supply in your profile (your profile is what appears in the left column when you add a post to VJ). When we look at the left column and can't determine your timeline OR your Embassy it's hard for us to give you a factual answer. If you look at the profile of others here, they have a flag for their country, so it makes it easy for us to reply as we can quickly determine your Embassy. Our answers will sometimes be tailored to a specific Embassy hence the reason for you to complete your profile. The country that should be used is the country where the interview will take place.